Nutrient-rich salmon is the first ingredient and a primary source of protein. Rice and oat meal are easily digestible and gentle on the digestive system. 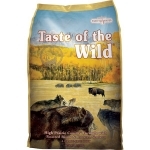 Made without corn, wheat or soy, or artificial colors or flavors. 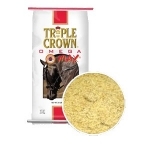 Triple Crown Omega Max is a 100% Ground Golden Flax that is processed under a proprietary method to guarantee a shelf life of 2 years. 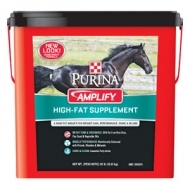 While we continue to learn more about the benefits of Omega 3 fatty acids, it is widely accepted that they are necessary and beneficial to horses, especially those horses with limited access to green grass. Please contact the store for pricing. 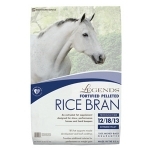 Easily mix Legends Fortified Pelleted Rice Bran Horse Supplement in with other grains to help enhance your horse’s feeding program. 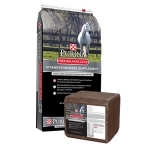 Designed for show and performance horses and "hard keepers"; this extruded supplement with 18% fat supports muscle development and hoof condition. 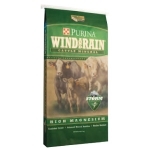 Provides additional calories in your horse’s diet for performance or weight gain without hyperactivity. Please contact the store for pricing. A lamb protein, grain-free formula for all life stages with sweet potatoes and peas provides highly digestible energy for your dog. 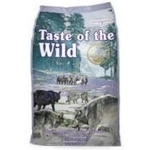 Made with real roasted lamb, this formula offers a taste sensation like no other. 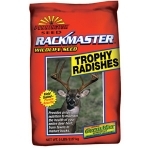 Rackmaster® Trophy Radishes is one of the newest and best food plot Brassicas on the market. Trophy Radishes are great planted alone or they make an ideal companion species. This fast growing Radish produces huge yields both above and below the ground. The high protein and lush, tender leaves make it highly attractive during hunting season. Once the Radish dies in the winter, the plant turns into rich organic matter and releases nitrogen to improve your soil. 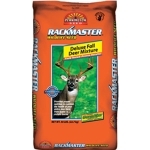 Buckmasters Ultimate is the ultimate food plot seed combination because of its unique combination of clovers and chicory. 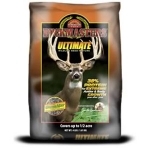 Buckmasters Ultimate has the highest protein and is the most persistent combination of seed we offer on the market today. With Smoked Salmon. 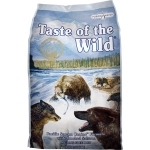 A fish protein, grain-free formula with sweet potatoes provides highly digestible energy for your sensitive dog. With Roasted Bison & Roasted Venison. 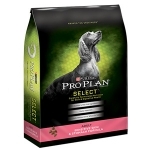 A grain-free formula with sweet potatoes and peas provides highly digestible energy for your active dog. 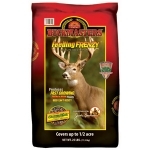 Buckmasters Feeding Frenzy is designed to germinate quickly, grow fast, attract and hold whitetails around the food plot for the entire hunting season. The key ingredients will attract and hold deer in your food plot from fall through early spring — making this a perfect harvest plot mixture. 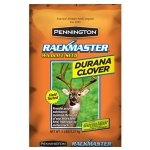 Rackmaster® Durana White Clover is the newest white clover on the market for whitetail deer management. Durana was developed by Dr. Joe Bouton, while at the University of Georgia, to persist under grazing pressure, tolerate acidic soils, compete aggressively with weeds and grasses and to tolerate low management situations. 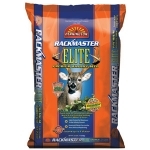 Rackmaster® Elite is a unique food plot seed mixture developed to attract whitetail deer, produce high yields and be a true perennial that can last for years without replanting. This product was developed to improve the health of the entire deer herd, providing high protein to increase antler and body mass. It will also help increase the weight of developing fawns and improve milk production in does. 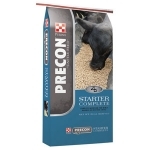 Great Starts™ Precon™ Complete is a complete pelleted ration for preconditioning calves on farm or receiving calves in back grounding operations or feedlots. It is a complete weaned-calf diet that not only eliminates the stresses of weaning, but also reduces sickness and puts the calf on the road to 40-80 pounds of weight gain. 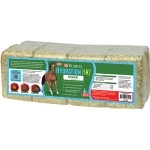 Optimum nutrition for raising laying chicks from hatch to laying age (18-20 weeks). 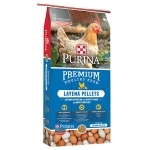 This complete feed with 18% - protein and quality nutrients is perfect for a strong start and early hen development. Click here or more information on this product. Please contact the store for pricing. 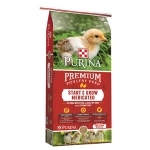 A 16%-protein high-calcium ration formulated for top-producing laying birds once they reach 18 weeks of age. Please contact the store for pricing. 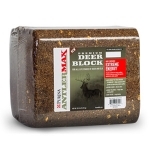 An 20%-protein, highly-fortified, year-round supplemental feed block designed to enhance the deer’s natural forage diet without the need for a feeder. Please contact the store for pricing. 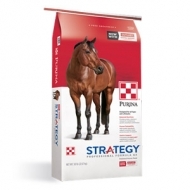 In 1991, Purina® Strategy® horse feed revolutionized horse nutrition by becoming the first commercial pelleted feed created for horses of all ages and lifestyles. Please contact the store for pricing. 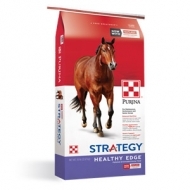 Purina® Strategy® Healthy Edge® horse feed is a high-fat, nutritionally balanced, controlled starch and sugar diet with enhanced great taste researched and formulated to support the health and well-being of adult horses aged 2 years and older. Please contact the store for pricing. 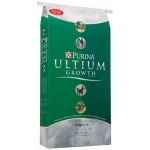 Purina® Ultium® Growth Horse Formula is a super-premium, high-fat, high-fiber horse feed researched and formulated specifically for broodmares and young growing horses. Please contact the store for pricing. 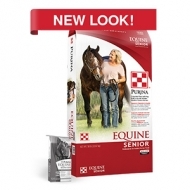 For the special needs of older horses... Purina® Equine Senior® Horse Feed gives you comfort knowing you are providing the best nutrition for your horse. It is the trusted original senior horse feed leading the way to ensure you and your horse enjoy more quality years together. Please contact the store for pricing. 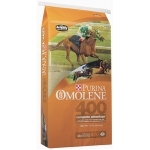 For competition and breeding horses with roughage built-in... Purina® Omolene #400® Horse Feed contains the Purina® Amplify® Nugget, a patented, high-fat, extruded particle that contains a proprietary blend of vegetable oils, flax seed and rice bran for an optimal fatty acid profile. Please contact the store for pricing.